Sometimes there is no greater critic than yourself and I'm a perfectionist when it comes to blending! I think everyone should at least attempt to do a dark smokey eye on themselves at least a few times. A lot of people are intimidated by smokey eyes but I think most of the time the big issue is the shape that you create that's difficult, not the darkness of color. It's not my everyday thing but it is a lot of fun! For reference, here is a step-by-step Smokey Eye Tutorial that I did a while back. You can replace the tutorial color for any other color and in this case, I stuck with a midnight blue-charcoal-black palette. Lips are Dior Creme De Gloss in Creamy Gold. One trick I love doing on dramatic eyes is doubling my false lashes. In this case, I layered wispy lashes on top of criss-cross ones to get this feathery, volumized effect. Loooooves! And here are the earrings I was wearing. Adorable purple crystal earrings from He Qi Crystal Designs that I previously mentioned here. YT vid of girl = HILARIOUS!!! That video is just ridiculous srsly lol. What foundation did you use , your face looks flawless . you are so beautiful, you look good in any look! omg, that video is hilarious! i wonder if her face is stuck like that? maybe it's just naturally like that, poor girl :P i wonder if she knows she's on youtube? Aw Jen! I'm a silent reader but I had to comment on this post! You look gorgeous with the smokey eyes! Love love love! And by the way, the girl in the YT vid is making the infamous "duckface. "Check out the website dedicated to people who make that face in every picture: http://antiduckface.com/. Haha! You rock! I love your blog! Aww I love your silly moods, they produce some very cute pictures indeed ^^ Beautiful smoky eye and your shading is perfection! Also, the double eyelash tip is awesome and totally dramatic with the smoky eye. hahahaa the camera face is so funny! I've seen that video before. Maybe I will plan a place to go where I can double up my falsies! Love your smokey eye. For some reason whenever I try this, it looks like I have a black eye instead...LOL. you nailed the camera face! yours is gorgeous! the video is darn hilarious! Love your smokey eye makeup!!! suits you!!!! :) Wow! 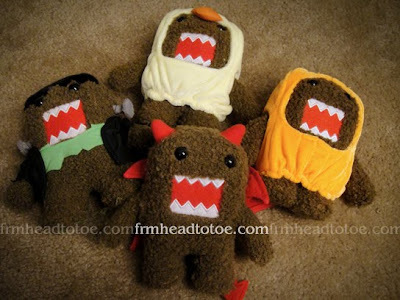 Your Domo-kun plushies are so cute! Where did you get them?? Very beautiful! Love your smokey eyes. I attempt it but fail. haha. Love the scarf too. Referring to the video: Jeez, seems like I'm looking at the same photo over and over lol Didn't know it's called a "camera face," I've seen many girls do that, it's kinda funny-looking haha Anyway, I can't do smokey eyes to save me! I think the smokey eye seem to make people look older. Just an observation. Love the smokey eyes! Your blending is just beautiful!! And ahhhh I love the lip color too - so pretty! Also LMAO @ the "camera face." you are too gorgeous!!! do you do your own nails? what are your favorite black colored circle lenses? Lol The Camera Face vid is hilarious! I was just thinking yesterday about how awkward Lauren Conrad looked in one photo on InStyle.com because she was contorting her body into an awkward position to do her camera face! Great look! Awesome blending and you look beautiful with those lashes. Love that vid, lol. where do you get your false eyelashes? I really want to get the natural criss cross ones? Please let me know. thanks! Jin Nguyen: I was wearing MAC Studio Sculpt foundation here in NC30. Anonymous: That duckface link is hilarious! I'm so glad I'm not a big duckfacer, I just don't think it looks good on me! Anonymous: Yes, I am using Wonder Eyelid Tape for this look. 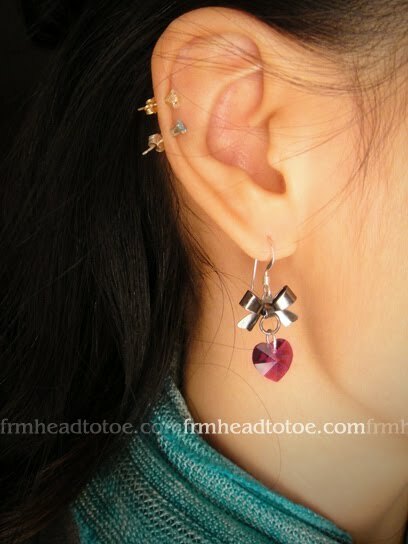 ^^ e-mail me at frmheadtotoe@gmail.com if you are interested in buying some. Stephanie: I usually don't have a problem with unsticking, but yes that does happen once in a while. It can depend on the eyeshadow you use too. Always use a primer on your lid first so the shadow sticks to something. Also, chalkier eyeshadows might make it worse. I recommend getting Darkness eye glue for the days when it just isn't sticking well and just using a very small amount along the crease to keep it in place. Anonymous: Yes, I do my own nails! I love doing nails. The only black lenses I've tried is Geo ck-109, which you can see from my Halloween post. Mary in Wonder: YES! It looks like a very practiced camera face! Like she tried every angle and found this one and was like "ahhh, yes. this is the ONE." d0llfac3: I get my lashes lots of places, but I think I used some Darkness falsies this time. Bought them from lunabeauty.com. Hers is ridiculously annoying, it's like a pouty sort of lopsided smile with her left eyebrow raised, I'm not a violent person but honestly, it makes me wanna give her a little slap. Has anyone ever told you you look like Sandara Park from 2NE1? Cuz you do! you're so gorgeous!! and I love the makeup look. It suits you well! Thanks for showing that video LOL. I know plenty of girls who have that habit! Thank you for replying Jen, you're so lovely ... is there any chance that you can do a foundation routine video ... I'd love to watch it . LOL'ed at the video! Gorgeous photos and makeup. You have mad skillz! I love your eyelashes, so very doll-like ^^. I LOVE YOUR EYELASHES! rawwr! and I remember that youtube video, haha. Ooooh, nice camera face xD ! May I ask you a question ? Where do you buy your makeup (YSL lipsticks, NYX eyeshadows, Lancome concealer, foundation, eyeshadow primer),your China Glaze nail polishes, Konad disks and topcoat ? Is it on internet or in shops ? If it's on internet, could you give me some links ? Because I'm looking for these products but they aren't available in my country (I live far from the USA... in the Indian Ocean !) so it would be great if I could buy them online.I've never bought something on internet and I don't know which site is safe or not. Ooh, and, sorry if it's in the wrong post, but what's your favorite eyebrows makeup ? I've just seen your little note about Konad products ! Sorry ^^"
yesss duckface! hahaha~ and the comment about you looking like sandara park.. i've actually thought that many times myself! moreso in certain pictures than others but there are times when u do look a lot like her! Your blending is beautiful! AND that youtube clip is awesome! That's a gorgeous winged smoky eye. I wouldn't trust anyone to do my makeup, either, unless that person has worked on me before. Good Lord! You look absolutely stunning! and that blending skill is second to none. I got to know your blog couple of weeks ago and I have been enjoying it ever since! Your smokey eye thing is so cool and it suits you very beautifully. I did try for myself couple of times but not much of a succesful outcome. You do look stunning with the smokey make up. Keep it up! Just discovered your site from xteener's twitter page & I love it!! I love the smokey eye that you did on this post! When I attempt at it my eye usually comes out looking like it's bruised lol! u r so gorgeous! lol i love the makeup look! just one quick question! would an angled shadow application be better than a round half circle shadow application on the lid? like the shape of ur eyeshadow on this tutorial is more angled..and i was wondering which one makes the eyes look bigger? Wow this is one of the best smokey eyes I've seen. I really have to figure out a look for myself. LOL@ the vid. I actually have a friend that poses a certain way too in all pics.